John Prosser is a member of our successful Canterbury Rural / Lifestyle team. John is proud to be associated with the company that consistently sells more rural property nationally than any other company. 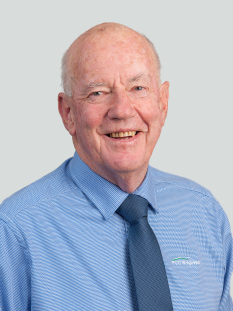 Based in Rangiora, John has a wealth of real estate knowledge, having been in the industry since 1986. He has achieved AREINZ status, and has sold farms, lifestyle properties and rural subdivisions in both the Waimakariri and Hurunui districts. Being a seasoned campaigner, he has practical skills to solve situations and a proven empathy with clients and associates. John lives on a rural property in Loburn, farming cattle and grazing thoroughbred horses. If you are looking for enthusiasm, a positive outcome and a job well done, please contact John.